Expo Pack Mexico, Latin America’s largest processing and packaging event wrapped up its three day show at the Expo Guadalajara in Mexico in June. The international show reported a record 16,000 visitors from a total of 16 countries ranging from Guatemala, Argentina and Brazil. 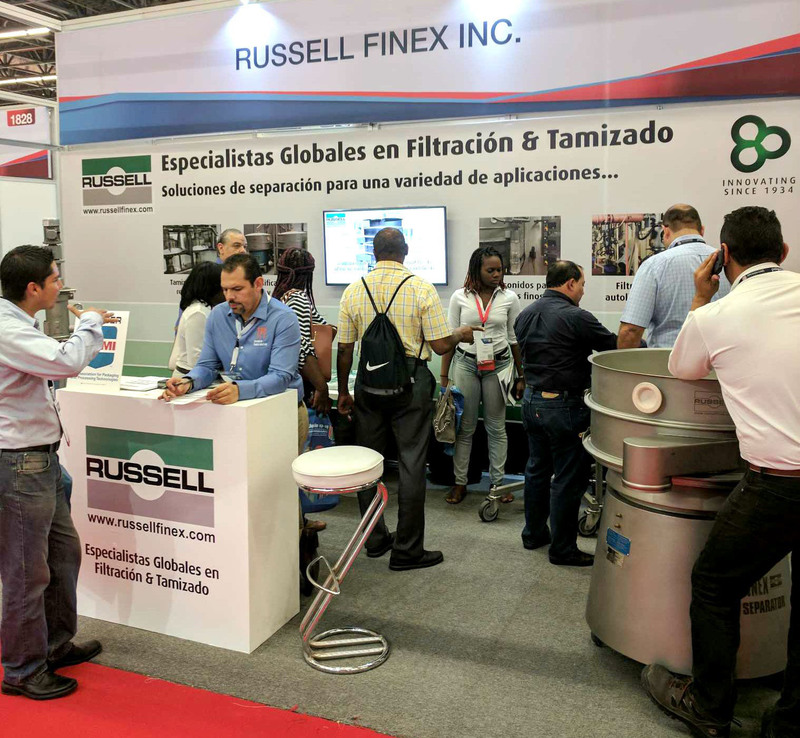 Visitors to the Russell Finex booth were able to see industrial sieving and separation machinery in full operation, as well as talk to company experts about the Russell range of vibratory screeners ideal for the food and pharmaceutical industries. On display at the Russell Finex booth was the Russell Compact Sieve®, a high capacity vibrating screener, and the Finex Separator™, a round separator ideal for separating powders and slurries. The Russell Vibrasonic® Deblinding System was also on display throughout the show. The ultrasonic sieving system was used to demonstrate fine powder screening down to 25 microns. Established in 1934, Russell Finex is a worldwide leader in fine mesh separation technology, manufacturing industrial sieving and filtration equipment for a wide range of industries. Contact Russell Finex today to see how you can ensure your product quality and improve your productivity.